Providing you the best range of cotton fabric labels for garment industry, apparel labels, shirt labels, towel labels, garment labels and silver screen printing labels with effective & timely delivery. 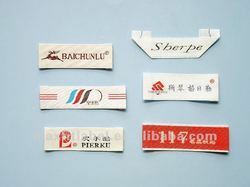 We are into manufacturing, exporting and supplying a comprehensive range of Cotton Fabric Labels for Garment Industry. Offered Cotton Fabrics are developed using best quality cotton and are highly appreciated among our customers due to their high quality and reliability. 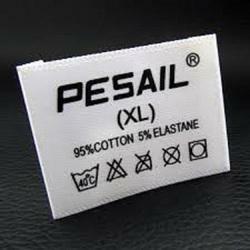 We are offering an elegant range of Apparel Labels to our esteemed clients. The offered labels are manufactured by using quality tested raw material and advanced technology by our adroit professionals. Our provided labels are tested on different quality measures for assuring their flawlessness. Moreover, these labels are appreciated in the market for their various attributes. Clients can avail these labels from us in different designs and sizes. Team of our skilled craftsmen is highly engaged in designing Shirt Labels. The offered labels are manufactured using premium quality raw material and the latest technology under the guidance of our skilled professionals. Our provided labels are checked against different quality measures so as to ensure their quality. Moreover, clients can avail these labels from us at budget friendly prices. Due to our immense years of industry experience and in-depth market knowledge, we are able to manufacture, export and supply Towel Labels. The offered labels are manufactured utilization superior quality raw material and advanced technology in sync with industry. In addition to this, these labels can be availed in varied specifications and customized options as the varied needs of our clients. We offer these labels to our clients at market leading prices. 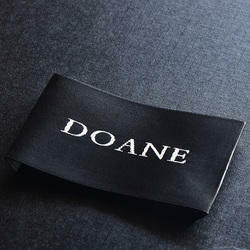 As an acclaimed company, we are engaged in providing our valuable clients with a broad array of Garment Labels. 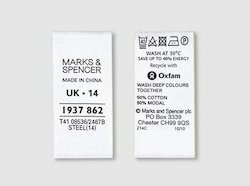 Widely used in garment industry for shirt labeling, the offered shirt labels are made with high grade material and latest machinery employing with the predefined standard. 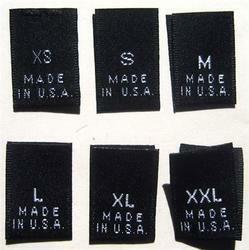 The presented shirt labels are given in variegated sizes and colors. Along with that, we are giving modified facility according to detail given by our customers on given time-frame and are completely test on factors related to their quality. 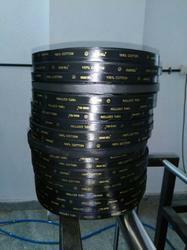 Also known as Roll to Roll to Screen print gold / Silver printing labels. Looking for Garment Labels ?